The author of 'The Orchid Thief,' which inspired the Academy Award-winning film 'Adaptation,' will be at the Northshire Bookstore in Saratoga on Tuesday, December 4. 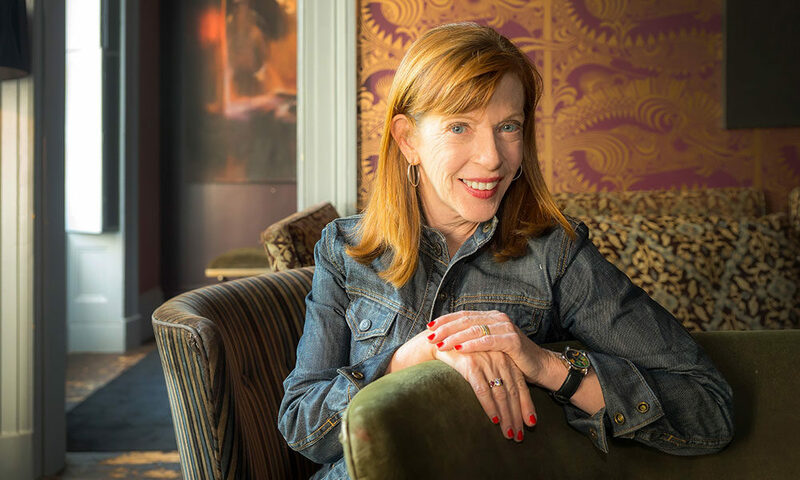 I’m not ashamed to admit that I was first introduced to writer Susan Orlean not through her illuminating articles in The New Yorker (where she’s been a staff writer since 1992) or through her brilliant books (of which she’s written eight, including a children’s book), but via the fascinating film, Adaptation. 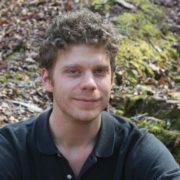 The film is, well, just that: a feature-length adaptation of Orlean’s popular 1998 nonfiction book The Orchid Thief, which revolves around Orlean’s musings on the nature of passion and orchid collecting as she follows eccentric orchid enthusiast John Laroche on his quest to find and clone the elusive Ghost Orchid. The film, which was conceived by writer/auteur Charlie Kaufman (Being John Malkovich and Synecdoche, New York) and co-stars Meryl Streep as Orlean, along with Nicholas Cage, takes a few liberties (to put it mildly) with what really happened in the book, but it still did a fantastic job of showcasing Orlean’s sharp eye for finding and telling good stories (you should check both out, if you haven’t). Ever since discovering the movie and Orlean, I’ve been a big fan of her dazzling and diverse array of New Yorker articles (she’s a big fan of animals), as well as her books; I finished her 2012 biography Rin Tin Tin: The Life and the Legend just a couple of months ago. Orlean has had the kind of career that writers can only dream of. She’s been a contributing editor at both Rolling Stone and Vogue; and in 2012, she received an honorary Doctor of Humane Letters from the University of Michigan, as well as a Guggenheim Fellowship for Creative Arts in 2014. 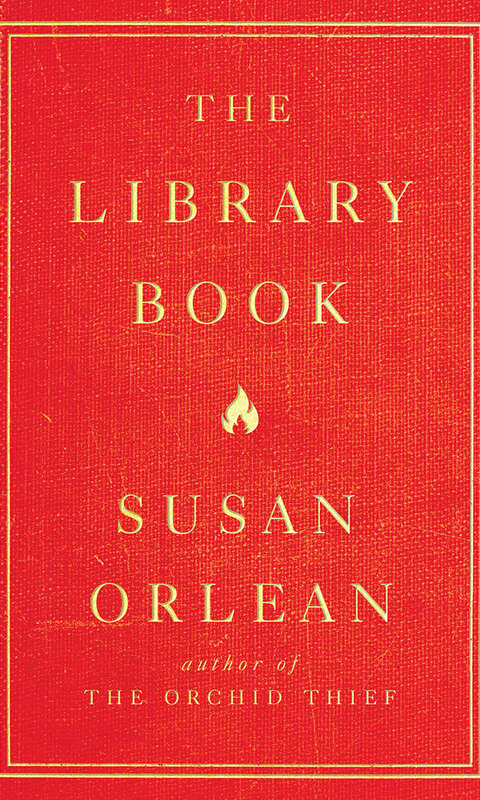 When I heard that Orlean had a new book out—The Library Book, which is about the terrifying 1986 Los Angeles Public Library fire—and that she’d be coming to Northshire Bookstore in Saratoga Springs on Tuesday, December 4 to discuss it, I knew I had to try to track her down for an interview. And I did just that. Is this your first time at Northshire Bookstore? How about Yaddo? Have you ever done a residency there? Yeah, several times, and it’s been a really valuable, almost irreplaceable advantage for getting my books done. I’m really unspeakably grateful that it exists and that I’ve had a chance to be there. I imagine it must be tempting to go into the city of Saratoga while you’re there. Actually, I don’t go into town very much while I’m at Yaddo. I mean, I love Saratoga and I have a good friend who lives there, so I’ve spent time as a visitor just bumming around. I really love it. When I’m at Yaddo, I really have my nose to the grindstone, and I kind of have to resist the siren call of town so that I can make use of my work time there. Speaking of your work time, you have a new book out that you’ll be doing a talk on at Northshire. Tell me about The Library Book. Well, the book examines the Los Angeles Public Library fire as a fascinating historical event and one that actually allowed me to look at a lot of other aspects of libraries that really interested me. Such as why libraries mean so much to us. And why they still matter, what their role has been in our lives and how they’ve changed and how my own relationship to libraries has changed. Libraries have gone from quiet study and reading spaces to multifunction service centers. How do you feel about that change? I think it’s a really encouraging and exciting sign seeing libraries embracing new roles, particularly as the traditional needs for merely storing books is less urgent. Their role as information hubs and knowledge hubs for a community has become more relevant. So I think it’s an exciting time. It also means being a librarian requires a lot more than knowing the Dewey Decimal System, and it’s probably turning it, for a lot of people, into a more dynamic profession. But it’s an exciting development, one that insures that libraries will be important and meaningful into the future. A lot of people know your book The Orchid Thief through the film Adaptation. Even though it’s an obviously fictionalized adaptation, what did you think of the film’s depiction of you and the book? I love it! I think it’s in many ways truer to the spirit of the book than a traditional adaptation would’ve been. And I think, even if it weren’t my book, I would say it’s a brilliant movie, and probably the best movie I can think of that addresses what it’s like to be a writer. I’ve seen it many, many times, and it gets better and better, which is, I think, the sign of a really great movie. I think it’s a movie that gets more interesting the more often you see it. I’m probably in an unusual category having seen it lots of times. [Laughs] And I still find it really wonderful. Did you get to meet or work with the writer Charlie Kaufman at all while the film was written? No, we didn’t meet until the movie was being shot. I spoke a lot to the director, the costume designer and a lot of the production people. But I didn’t meet him until the movie was already shooting. You’re currently on tour promoting your new book. Any other big plans for the future? Yeah, you’ve been writing for The New Yorker for almost 30 years now. It’s such an iconic American publication, and yet it’s had to have evolved some since you’ve been there, right? Well, it hasn’t really changed that much, at least not for me. I would say that the way I work and what I do and how I go about it has remained really the same since the beginning. It’s a tribute to the magazine, in a sense, that they don’t just blow with the wind. Its principles, the way they interact with writers, has been pretty consistent. There have been three Editors in Chief over the course of my time there, and each of them is a little different, but what I do and how I do it has remained remarkably consistent.